All 90s kids, this one is for you! On 5 October, the original 4-player Super Mario Party series board game mode made its comeback. Invite your closest friends and family to the party, and prepare to start feuds when you challenge them in this competitive game! Like what we always say in Bountie, “there’s no such things as friendships in Super Mario”. My inner child is screaming right now for this game. Believe it or not, Super Mario Bros in 8-bit was my childhood game and videos of it bring on pure nostalgia. Focusing on the basic elements of the game: playing mini-games and collecting stars. 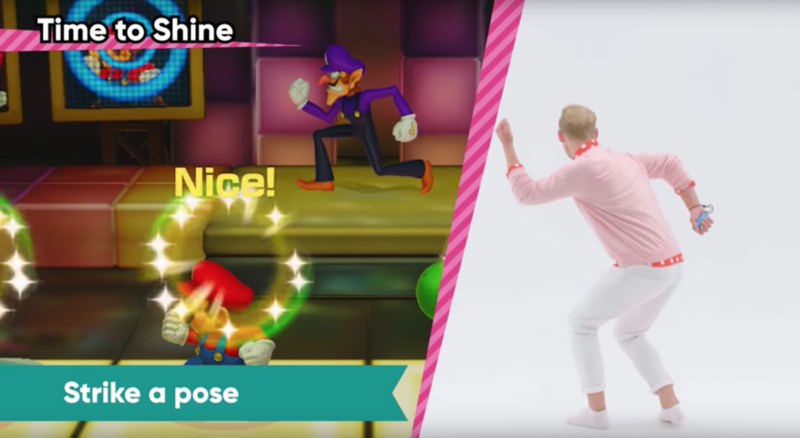 The game is set to be the first in the Mario Party to incorporate online play. Mini-games sit at the centre of Mario Party as always, challenging the skill of players and offering coin rewards to those who can master them. In order to win, team communication is extremely crucial… perhaps even more important than your gaming skills. Test your skills in sets of five mini-games with the new mode, Mariothon, and see how you stack up against players across the globe in Online Mariothon. 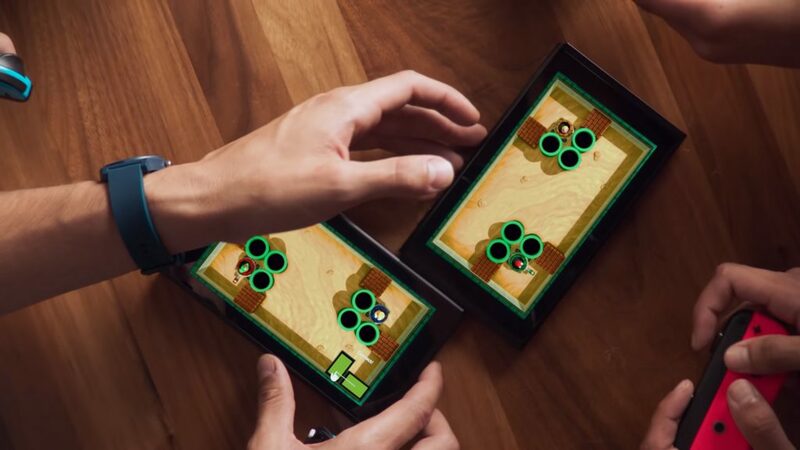 Whether you’re pedalling tricycles, flipping meat, or who knows what else, you’ll use Joy-Con™ controllers in clever ways across 80 new mini-games. What I know is that I am going to shed some weight from striking poses like the dude above. Toad’s Rec Room lets you pair up two Nintendo Switch™ systems, which you’ll lay side-by-side on a flat surface like a real tabletop game. That way you can play a mini baseball game, battle tanks in custom arenas, or even see who can match the most bananas by repositioning the systems however you see fit! The overall goal of the game is to purchase the most Stars from Toadette, who serves as the host of the Star Space in this game. Stars cost 10 coins to buy, and after a player has purchased the Star, Toadette warps to another location of the board. The downside of Super Mario Party is that it doesn’t support handheld or pro controller options so we can only play through the TV while utilizing a JoyCon controller in your hand, or in Tabletop mode with a similar control method. The lack of handheld functionality or pro controller support is baffling but I guess it is somewhat expected given the nature of the game. No need to frown! Super Mario Party is much more fun when played with friends and family! Gather around the living room and get down to the game. It will make the best gift ever as Christmas is around the corner! Don’t hate me if these are not your favourite games! In fact, let me know what your favourite is in the comments below. Anyhoo, these are my 3 top played games. In this mini-game, you drive a train that’s connected to a spring glove. In this game, you and your teammate drive around punching the enemies’ trains. Each punch knocks off the last car on the train. You’ve got to be careful as you can end up knocking your teammate’s train. And like every battle royale game, the last train standing wins! I love this because it’s like a Mario version of bumper cars which I used to play at carnivals. Instead of driving a bumper car, you’re in a bumper ball that kind of looks like a hamster ball. The objective? Bump your opponents out of the game! Get your real-life enemies and knock them out of the ring to get your satisfying revenge. Dash and Dine is my ultimate favourite! 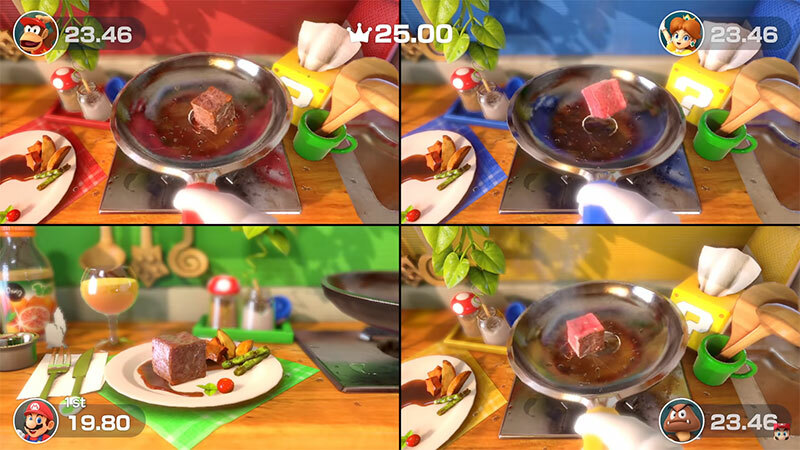 Similar to popular games “Diner Dash” and “Overcooked”, Dash and Dine will push you to your limits as you and your teammate dash across the kitchen to get ingredients. It’s chaotic, messy and a whole lot of fun!